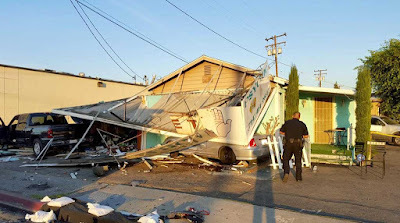 A psychic in Orange County, California, said she had a premonition something was going to happen – and it did when a truck ploughed into her home business in Anaheim on Friday. At around 4:30pm, a truck travelling on Beach Boulevard hit the back of a Toyota Camry and lost control, before crashing into the psychic business operated by Rachel Williams. 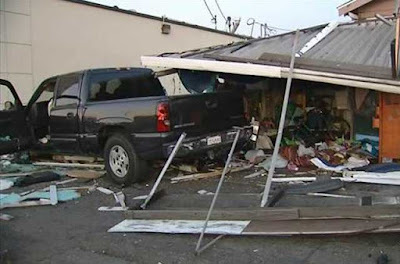 Williams said it was the third time a vehicle has crashed into her business. Williams described the sound of the collision as like a bomb went off. "I was screaming 'cause my son was in the room operating the computer. 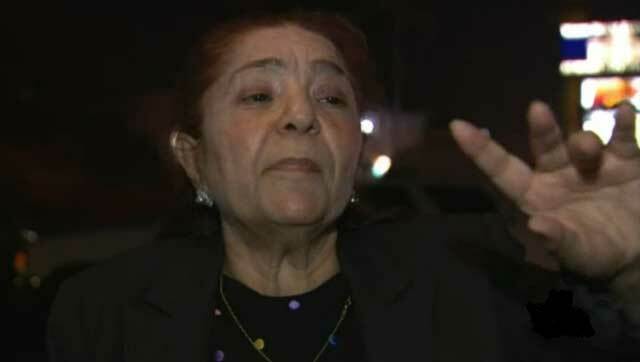 That's what I was really scared ... that he killed my son," she said. 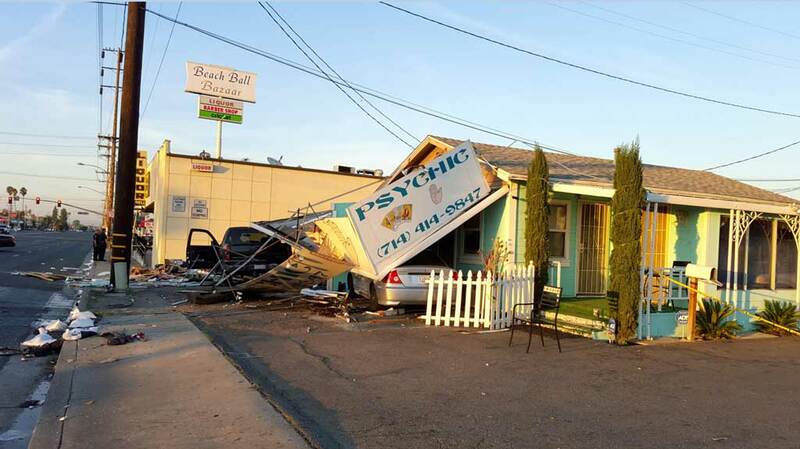 A 67-year-old woman avoided the collision but was struck by some debris and taken to a hospital. Williams said she knew the accident would happen. "Yes, I knew it. I didn't know what time but I had that spiritual feeling." 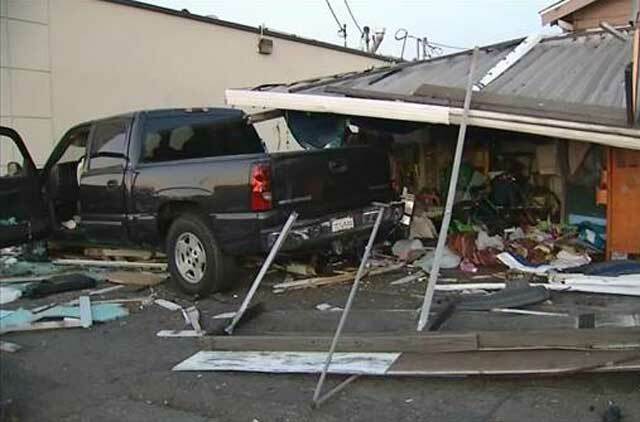 Williams also said she also had a feeling the driver of the truck may have been intoxicated. Anaheim Police Department are investigating if the man was driving under the influence. Always easy to predict things after they happen. She knew but somehow didn't tell her son to stay out of the room? What does that say about her? I knew something was going to happen sometime somewhere!!!! See, I'm a psycho!